AZEB aims to achieve significant construction and lifecycle cost reductions of new NZEB’s through integral process optimization in all construction phases. AZEB means Affordable Zero Energy Buildings. This EU project will create a common methodology for cost effective NZEB and pave the way for innovation. In the 30-month project 8 partners from Italy, Spain, Bulgaria, Germany, France and The Netherlands work together till end 2019. The main steps of the AZEB project are to evaluate available experience and solutions to create a common methodology for cost reduction, apply the methodology to demonstration projects, finalise the methodology including lessons learned and disseminate the results. As of January 2015 the Passive House Institute is part of the Horizon 2020 EU-funded project Built2Spec which stands for "Built to specifications" and aims to facilitate construction practices. In order to achieve this ambitious objective, new self-inspection technologies based on Building Information Modelling (BIM) and portable devices will be developed for on-the-fly analysis, quality checks and direct data transfer, for example smartphone integrated 3D capture functions, infrared camera, embedded sensors for acoustic and indoor air quality tests. 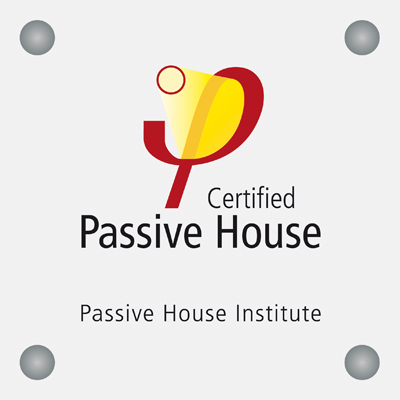 The Passive House Institute brings to the project its expertise in highly energy efficient construction and quality assurance. It also provides interfaces between the BIM-based platform and the planning and design tools PHPP and designPH. In the EU-funded project known as Sinfonia, the Passive House Institute is taking a leading role in providing consultancy on as well as the certification of retrofit projects in the cities of Innsbruck (Austria) and Bolzano (Italy). PHI is also charged with the development and implementation of a monitoring concept to demonstrate actual energy savings from retrofitting measures in roughly 500 apartments across both cities. The project itself further deals with the topics of electricity efficiency and the assessment of energy savings potentials at the city district level. Sinfonia's findings will be transformed into concrete, sustainable energy development plans with the aid of the participating early adopter cities of Paphos (Cyprus), La Rochelle (France), Rosenheim (Germany), Seville (Spain), and Boras (Sweden). These early adopters will then integrate the plans into their municipal retrofitting strategies. The "Train-to-NZEB" project aims to provide world-class training on energy efficiency and RES in buildings, based on new training programmes, business plans and up-to-date training equipment for a set of training and consultation centers (Building Knowledge Hubs) around Europe. Its goal is to improve the knowledge and skills in the construction sector and to provide practical trainings, demonstrations and comprehensive consulting services for design and construction of Nearly Zero-Energy Buildings (NZEB) supported by RES, based on the Passive House concept. PHI coordinated the IEE funded EuroPhitproject. EuroPHit focused on deep energy retrofits to the EnerPHit Standard that are conducted in a step-by-step manner over the course of several years. The goal was: to develop international criteria and a certification scheme for such retrofit projects. This objective was supported by new software tools, product innovation for step-by-step retrofits, case study projects as well as trainings for designers and craftspeople. As such, the project brought together relevant actors such as municipalities, financing institutions and manufacturers. The Passive House Institute (PHI) has been significantly involved in European Union projects within the framework of the Intelligent Energy Europe Programme over the years, including Promotion of European Passive Houses (PEP) and Passive On. 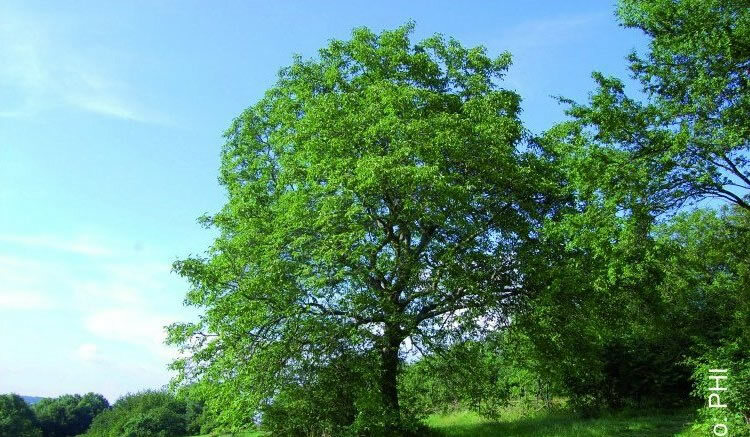 was project coordinator for PassREg, also funded through the Intelligent Energy Europe Programme, and was an active partner in the FP7 funded 3encult project. 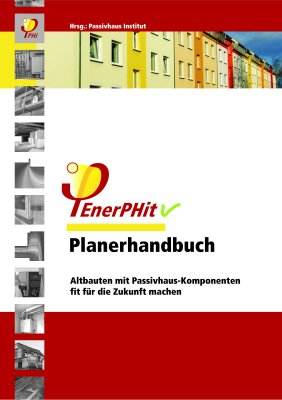 PHI also acted as a partner in the IEA Task 28, Sustainable Solar Housing, and Task 37, Advanced Housing Renovation. 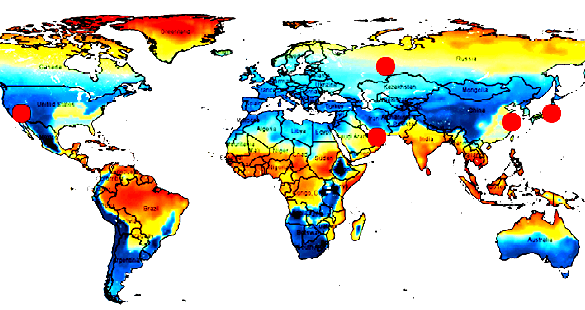 .The project „InSitu verification procedure“ is integrated in the international IEA EBC Annex 71 „Building Energy Performance Assessment Based on In-situ Measurements“ project and is funded by the BMWi. This is a follow-up project of the project „InSitu testing procedure“, which was integrated in the international Annex 58. 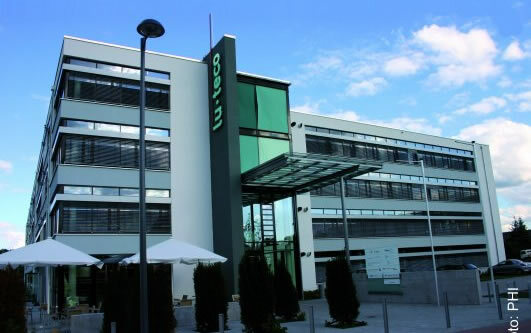 In conjunction with the project partners Fraunhofer Institute for Building Physics, University of Rosenheim, Thermokon Sensortechnik GmbH und EnOcean GmbH, a method for determining the energy efficiency of a building is to be develped. The Passive House Institute intends to investigate the separability of the main influencing factors (building envelope, building services and users) on the energy consumption of buildings from collected measurement data. The aim is to be able to analyze the causes of possible differences between demand calculation and the consumption and to allocate them accordingly. For this purpose, detailed monitoring investigations are carried out on real buildings. 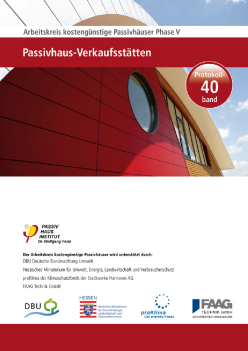 In addition to its other work, PHI has carried out the building physics consultancy and scientific monitoring for the first Passive House office buildings (Cölbe near Marburg, Germany), the first Passive House factory (Bensheim near Darmstadt, Germany), the first Passive House schools, the first Passive House swimming pools (Bamberg and Lünen, Germany), and the first Passive House refurbishments (in Nuremberg, Frankfurt and Ludwigshafen, Germany). PHI was also either fully responsible for the scientific evaluation of these projects or played a major role in this respect. Since 1996, the Passive House Institute has organised the annual International Passive House Conference, the world’s most significant scientific gathering on Passive House. The event constitutes the central platform for the scientific community with regard to architecture, technologies and product development in the field of highly energy-efficient construction and refurbishment .